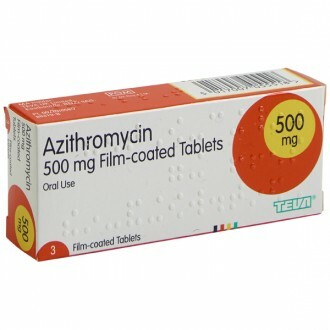 Buy Azithromycin 500mg tablets today subject to our online consultation to treat travellers' diarrhoea and sickness when on the move. This is a common condition for those travelling to a range of different countries, especially parts of Africa, South-East Asia, Pakistan and India. Order your tablets online the hassle-free way from The Independent Pharmacy, for professional and fast medical advice anywhere in the UK. How does Azithromycin treat travellers' diarrhoea? Azithromycin is a first-line antibiotic treatment for traveller’s diarrhoea (TD) caused by common bacterial infections. It is an antibiotic that kills diarrhoea-causing bacteria and reduces the symptoms and duration of this illness, especially when taken with loperamide - a treatment to help reabsorb water from the large intestine. The dose of Azithromycin is one tablet daily for three days. Begin taking Azithromycin as soon as you develop diarrhoea, not before. It cannot be used as a preventative measure. You can also take the anti-sickness tablet, such as Avomine, to minimize fluid loss and discomfort. What countries is Azithromycin recommended for use in TD? Azithromycin is the preferred antibiotic for treating travellers' diarrhoea in South Asia (India, Pakistan) or South East Asia (Thailand, Laos, Cambodia, Vietnam etc.). 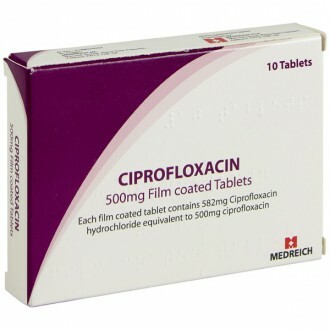 In other parts of the world, the antibiotic Ciprofloxacin is preferred. Travellers' diarrhoea is a common condition affecting 20-50% of international travellers. It usually occurs during the first two weeks of travel to a foreign country, especially in the developing world where it can affect up to 60% of travellers. Symptoms include passing three or more unformed stools within 24 hours, often accompanied by nausea, stomach pain, bloating, vomiting and/or fever. The illness can be contracted when the body is exposed to unfamiliar bacteria. Bacterial infections normally account for around 85% of cases. For the local population, these bacteria are often harmless but for a foreign traveller they may result in infection. Viruses and parasites may also account for a minority of traveller’s diarrhoea. It is important to take the suggested dosage of Azithromycin before symptoms become any worse. The organisms that cause traveller's diarrhoea include bacteria such as E. coli and Salmonella, parasites such as Giardia and viruses like norovirus. How can I avoid travellers' diarrhoea? The organisms that cause TD can be contracted through contaminated food and beverages as well as contact with dirty hands and plates. Avoiding contaminated foods is the most effective way to prevent Traveller's Diarrhoea. Drink only safe water and beverages that have been boiled, bottled or distilled. Avoid tap water and hot drinks which have not been boiled. Avoid ice cubes as they may be made with contaminated tap water. Avoid ice-cream and other frozen desserts as many developing countries experience frequent power cuts which means these products can defrost and refreeze at unsafe temperatures. Avoid raw fruit and vegetables that you have not peeled. Avoid salads as they may have been washed with contaminated water. Travellers with bowel conditions such as IBS. Travellers to destinations far from medical help. Travellers who have conditions which may be aggravated by severe dehydration/diarrhoea. Take one tablet a day for 3 days. Continue the course until it is complete unless a doctor directs otherwise. Start taking Azithromycin as soon symptoms of traveller’s diarrhoea occur. These include diarrhoea, sickness, nausea and stomach cramps. Take two capsules at the onset of diarrhoea, followed by a further capsule after each loose bowel movement. You should never take more than 8 capsules in 24 hours. Dissolve the contents of one sachet in roughly 200ML of fresh drinking water. Where fresh drinking water is unavailable, you should use water that has been freshly boiled and cooled. The solution should be made up immediately before use and consumed within one hour. If it is possible to refrigerate the mixture it can be stored for up to 24 hours. Mild allergic reactions (serious reactions are rare). If you develop any of the following symptoms, contact your doctor immediately. Severe or itchy skin rash, especially if it includes blistering and the eyes, mouth or genital organs become sore. Diarrhoea that lasts a long time, is serious or has blood, accompanied by stomach pain or fever. This can signal a rare but serious bowel inflammation. Yellowing of the whites of the eyes or skin as this can signal liver problems. Severe pain in the abdomen and back which can indicate inflammation of the pancreas. Change in the concentration of bicarbonate in the blood and the quantity of the white blood cells. If you are concerned about these effects, or if the product affects you in a different way, stop using Azithromycin and talk to your doctor or pharmacist. Inactive ingredients: croscarmellose sodium (E468), magnesium stearate (E572), silicium dioxide (E551), microcrystalline cellulose (E460), poloxamer, povidone (E1201), talc waterfree lactose. Coating: hypromellose (E464), hydroxypropyl cellulose, macrogol, titanium dioxide (E171). You have liver, kidney, or heart problems. You have low levels of potassium or magnesium. You develop symptoms of another infection. You take any derivatives of ergot such as ergotamine (for migraines). You have muscle weakness, myasthenia gravis. You have neurological or psychiatric problems. Antacids - Azithromycin should be taken at least 1 hour before or 2 hours after the antacid. Ergotamine (for migraine treatment). It should not be taken with Azithromycin as the combination may cause serious side effects such as numbness or tingling in the limbs, headaches, muscle cramps, convulsions, chest or abdominal pain. Warfarin or similar medicines (blood thinners). Azithromycin can further thin the blood. Cisapride (for stomach problems). This medication should not be taken with Azithromycin as severe heart problems may result. Terfenadine (for hay fever). When taken with Azithromycin, severe heart problems may develop. Zidovudine or Nelfinavir (for HIV treatment). Taking nelfinavir with Azithromycin may make you susceptible to more of the side effects listed in this leaflet. Quinidine (for treatment of heart rhythm problems). Cyclosporine (for preventing organ-rejection). Your doctor will regularly check your blood levels of cyclosporine and may change your dose. Please read all packaging and the Product Information Leaflet before taking any new medications. Inform your doctor about any medications you take or intend to take. If you notice blood in your stools or vomit, or you suffer from fever, chills, or severe headache your infection may be more serious and you should see a doctor as soon as possible. Traveller’s diarrhoea usually develops during or after a trip abroad where food or water has been contaminated by microbes. It usually clears up after a couple of days, but it can persist for longer than a week in some cases. Other symptoms can also include fever, vomiting and abdominal pain. Azithromycin works by destroying the bacteria responsible for causing diarrhoea. It achieves this by preventing the bacteria from producing the proteins they need to survive. Azithromycin is a highly effective treatment for traveller’s diarrhoea. However, its overall effectiveness is rated at 97%, as it has proved ineffective against giardia and amoebic dysentery. If Azithromycin doesn’t successfully clear up you diarrhoea, you should seek further advice from a doctor. Taking Azithromycin will reduce the overall duration of your diarrhoea. Without treatment, symptoms usually persist for 3-4 days. Using Azithromycin will cut this time down to 1-2 days. You will know whether Azithromycin is working by whether your symptoms have cleared up within this time. If the diarrhoea persists, consult with a doctor. Treatment should be commenced as soon as you notice any symptoms of diarrhoea. These symptoms include; frequent loose stools, nausea, and stomach cramps. The sooner treatment is started, the quicker your recovery will be. Will I need to continue the course until the Diarrhoea has completely cleared up? Yes. This will help prevent resistant strains of bacteria from developing. Can I drink alcohol whilst taking Azithromycin? No. Alcohol can potentially neutralise the positive effects of Azithromycin. This will mean your diarrhoea won’t be cured effectively. Where in the world is Azithromycin a good option? Azithromycin is the best method for treating bacterially caused diarrhoea in certain countries. Azithromycin is particularly effective in South Asia and South East Asia. This includes India, Pakistan, Thailand, Cambodia, Vietnam, Laos, & Myanmar. Azithromycin is recommended in these regions because there is resistance to Ciprofloxacin, an alternative TD antibiotic. Do I need a prescription to obtain Azithromycin? Yes. Azithromycin is a prescription-only-medicine (POM). A private prescription can be issued online by visiting The Online Doctor at The Independent Pharmacy. After your consultation is reviewed by one of our doctors, your treatment can be promptly dispatched. Is Azithromycin known as anything else? 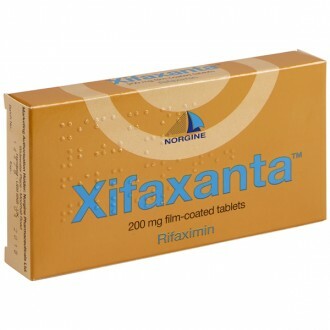 Brand names of Azithromycin include; Zithromax and Zmax. How long does traveller’s diarrhoea last? Traveller’s Diarrhoea can last around 3 to 4 days, and sometimes even lasts a week or over. 15% of those that suffer symptoms may experience vomiting and 10% experience bloody stools. If you believe you have this condition then it is important to treat it effectively and promptly to speed up recovery. Yes, it is contagious whether it is caused by a viral infection, bacteria or parasite. It is usually contracted by those who ingest the microorganisms, bacteria or parasite which then makes them ill. This type of illness is highly contagious and therefore you should practice good hygiene if infected, as to not pass on the illness to others. Pathogens that cause traveller’s diarrhoea can survive on surfaces for a number of days and so good hygiene will help to prevent the spread of the illness. If you are suffering with traveller’s diarrhoea, should you eat anything? Yes, if you are taking antibiotics and are not feeling nauseated or have been vomiting then there is no reason why you shouldn't eat any food until you feel better. To treat diarrhoea generally, it’s recommended that you eat uncomplicated foods until you start to feel better. Dairy products can prolong recovery time. If symptoms persist for longer than a week then it’s important to seek medical attention. What to do if you get traveller’s diarrhoea? If you are planning to travel to a developing country then it is a very good idea to prepare properly before you head off. This means stocking up on antibiotics incase you do fall ill with traveller’s diarrhoea. If you do fall ill with this condition while travelling, the best thing to do is to get plenty of rest, drink lots of fluids to replace the water lost from your body. It is also very important to seek medical advice to rule out any other stomach conditions if it last for longer than 3 days, or if treatment was ineffective. Surprisingly enough, the most common cause of traveller’s diarrhoea is via food, not contaminated water. Bacteria called enterotoxigenic E. coli is the usual culprit for those that come down with traveller’s diarrhoea. There is a number of different bacteria, viruses and parasites that can cause the same symptoms. Is it safe to take Azithromycin during pregnancy? It is not recommended to take this medication if you are pregnant. It’s important to seek medical attention if you are suffering from these symptoms.